288 pages | 132 B/W Illus. The sacred place was, and still is, an intermediate zone created in the belief that it has the ability to co-join the religious aspirants to their gods. An essential means of understanding this sacred architecture is through the recognition of its role as an ‘in-between’ place. 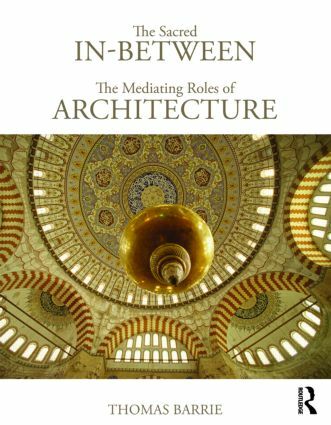 Establishing the contexts, approaches and understandings of architecture through the lens of the mediating roles often performed by sacred architecture, this book offers the reader an extraordinary insight into the forces behind these extraordinary buildings. Written by a well-known expert in the field, the book draws on a unique range of cases, reflecting on these inspiring places, their continuing ontological significance and the lessons they can offer today. Fascinating reading for anyone interested in sacred architecture. Thomas Barrie is Professor of Architecture at North Carolina State University whose scholarship on the symbolism, ritual use, and cultural significance of architecture has taken him to sacred places around the world. He is an award-winning architect and the author of Spiritual Path - Sacred Place: Myth, Ritual and Meaning in Architecture (Shambhala Publications, 1996).